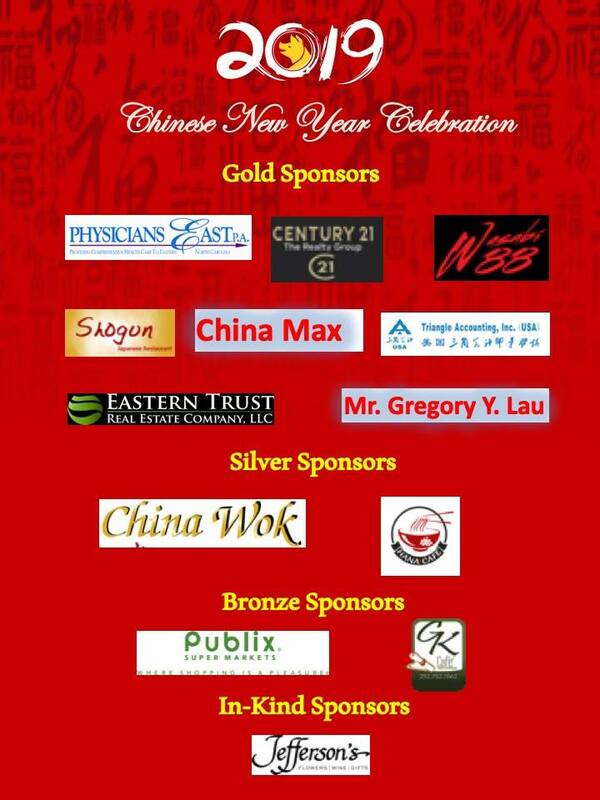 The 2019 Greenville Chinese New Year Celebration event will be held on Sunday, Feb. 10. This event is co-sponsored by the Greenville Chinese School, ECU Chinese Student and Scholar Association, Chinese Association of ECU Faculty, Staff and Friends, Greenville Chinese Christian Fellowship, and ECU Office of Equity and Diversity. The celebration will consist of three parts: various cultural activities in a 2nd floor room of the ECU New Student Center (2:00pm-6:00pm), performance by various groups in another 2nd floor room of the ECU New Student Center (3:00pm-5:00pm), and a buffet dinner at ECU West End Dining Hall starting at 6:00 pm. Both the cultural activities and performance are free and open to the public. This year we will not sell dinner tickets, instead you can purchase dinner at the door or use the ECU meal plan. The group rate is ~$8.29+tax for adults, $5 for children 6-12 years old, and free for children 5 years old or younger. Parents: please pay special attention to the safety of your kid(s). The 2nd floor of the ECU New Student Center (located at 909 Lawrence St, Greenville, NC 27858) has walkways with glass guardrails that are long but not tall. Climbing or playing near the guardrail is strictly prohibited for safety reasons. 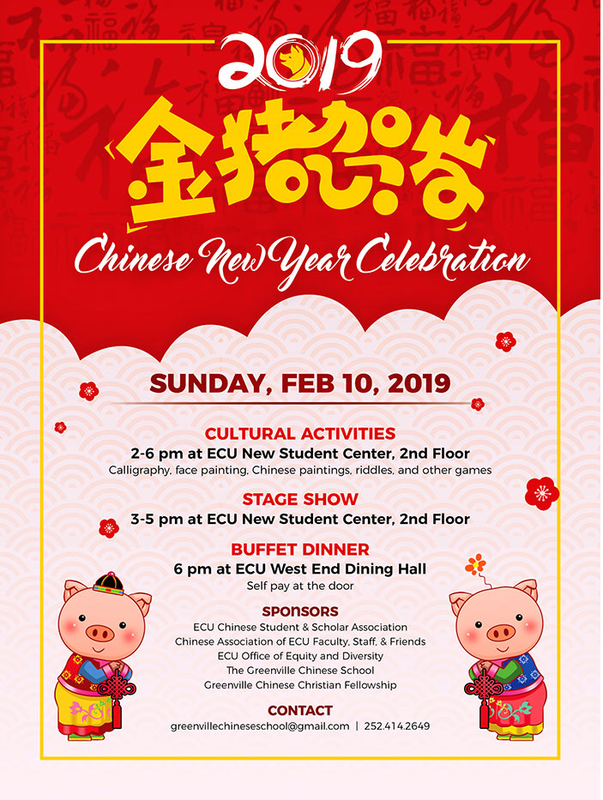 You can find a colorful flyer for this event at http://falcon.aos.ecu.edu/ca/Chinese_New_Year_2019.pdf. Please feel free to share the information with others who might be interested. We look forward to your participation.